An analysis of how YouTube and GlogsterEDU were used in an online college course to replicate the experiences of the on-the-ground section and how the skills learned using those tools could be transferred into teachers’ K-12 classrooms. I began my professional career working as a classroom teacher in a federally-funded school with unlimited funding for educational supplies. In contrast, when I moved out to the Midwest to be an administrator in a for-profit and privately-owned school, the funding for technology was limited to just my office computer. These funding challenges inspired me to present a sampling of inexpensive and user-friendly digital tools to my undergraduate pre-service teachers. It was my hope that these pre-service teachers could use these tools in their future classrooms regardless of their technology budgets. 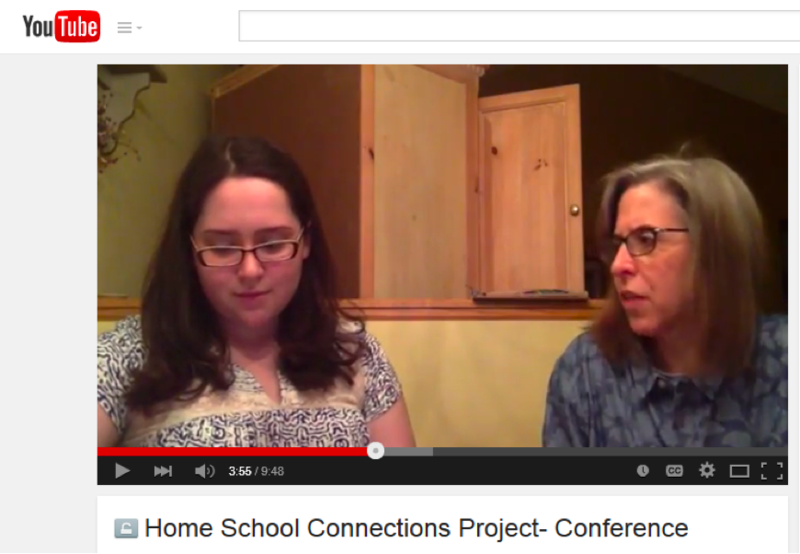 In the online undergraduate section of “Trends and Issues in Early Childhood Education,” I designed an assignment called “Home-School Connections” that would expose undergraduate students (those who are training to be teachers) to two inexpensive and user-friendly tools. Since this was an online course, I had the additional pedagogical problem of translating the educational experiences of my on-the-ground section into an online format. In the online section of this course, I gave pre-service teachers the option of recording a mock parent conference, a mock parent workshop, or creating a classroom bulletin board. In this piece, I analyze how YouTube and GlogsterEDU were used in this online college course to replicate the experiences of the on-the-ground section and how those skills could be transferred into the pre-service teachers’ K-12 classroom later on. The “Home-School Connections” assignment in “Trends and Issues in Early Childhood Education” requires students to simulate a mock parent conference or workshop. For this assignment, I wanted to select a tool that was not only free to pre-service teachers, but only required the technology skills of a beginner. Until recently, I have only used YouTube to provide video examples to illustrate what words alone could not adequately describe during lectures (Piaget’s stages of development, Bayley’s Scale of Infant Assessment). However, YouTube can also be used by the pre-service teachers to upload their video presentations using a Google account (Gmail). Pre-service teachers can record their video presentation using a variety of tools (iMovie, Movie Maker) and then upload it directly to YouTube. In order to keep the video private from the general public, but accessible to those with the exact web address, pre-service teachers can select “unlisted” under the Basic Information. The link then can be directly uploaded to the course management system such as Moodle or Blackboard. Through this assignment, the pre-service teachers became familiar with YouTube, and it is my hope that they will use it in their future classrooms. Just as my undergraduate pre-service teachers did for this assignment, K-12 students could use YouTube as a platform for their individual or group classroom presentations. Students could make presentations on conducting classroom science experiments, reenacting periods in history, reading a poem, or explaining a particularly complicated math problem. Undergraduate Student Conducting a Mock Parent-Teacher Conference. If pre-service teachers did not want to create a mock parent conference or workshop, then they were given the option in this assignment to create a classroom bulletin board. Classroom bulletin boards usually contain lesson plans, classroom calendars of upcoming events, and a variety of other information. However, creating a physical bulletin board would be difficult for my online section of this course, so I needed to find another tool that was inexpensive and was relatively easy to use. With GlosterEDU, pre-service teachers create virtual bulletin boards by first selecting a background and then uploading images (personal, web, Google), text boxes, hyperlink web addresses, clip art (animated and static), audio (MP3 file, direct narration), video (YouTube, Vimeo, personal), and data (supported documentation). 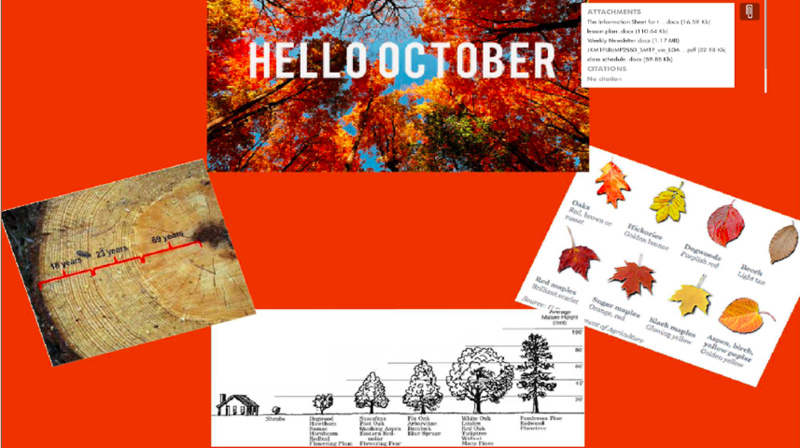 Aspiring teachers can use GlogsterEDU in a variety of different ways in the classroom, including to present new information to the class by creating an interactive bulletin board. For example, if the teacher wanted to show a video or images of the life cycle of a frog or the attributes of certain planets, then the GlogsterEDU library would have those bulletin boards already created. As school districts become more environmentally conscious, GlogsterEDU can replace student presentations that have traditionally required poster board paper. 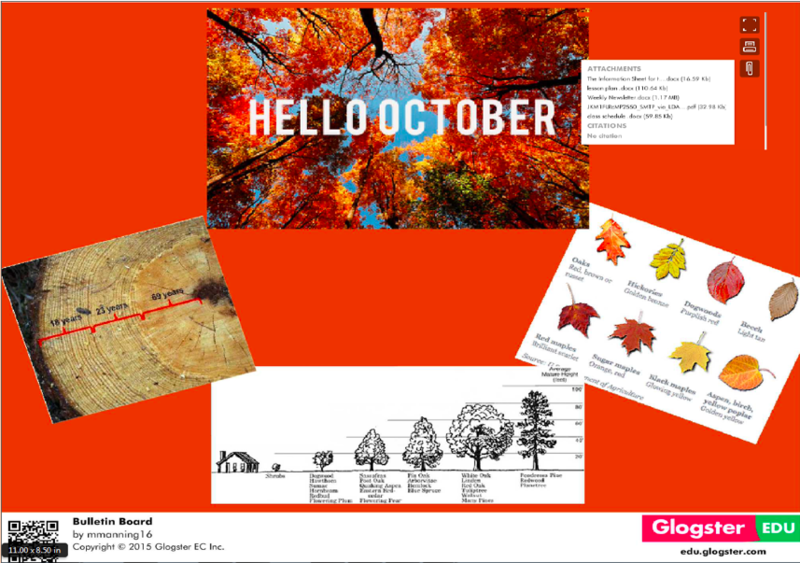 Undergraduate Student’s Use of Glogster EDU for Virtual Classroom Bulletin Board. Pre-service teachers reported general satisfaction with this assignment on semester evaluations of the course. These same pre-service teachers reported that they have used these tools (and other tools) in courses outside of the education department. It should be noted that in previous semesters when I only gave one tool that was at an “intermediate” level of difficulty, I received complaints on my semester evaluations. The skills that pre-service teachers learn using YouTube and GlogsterEDU can be transferred to other college courses and eventually into their future classrooms. Specifically, YouTube provides a common vehicle in which varied sources of videos can be uploaded and viewed in the course. GlogsterEDU can be used in place of (or in addition to) the traditional classroom bulletin board. GlogsterEDU has the added advantage that it can aggregate a wealth of information onto one screen in a variety of formats (images, video, audio). There are a vast amount of tools that can record videos, upload videos for public/private viewing and allow the user to create virtual bulletin boards. When I was looking for tools to solve my pedagogical problems, YouTube and GlogsterEDU were tools that were familiar, easy to use, and relatively inexpensive. Finding the right technology to solve a pedagogical problem is often a journey of trial and error as in the case of finding the right tool for pre-service student presentations. When selecting the correct tool, it is best to consider not only the pedagogical problem but also who will be using it and their comfort levels with technology. Tracy Bartel, PhD was an assistant professor in the education department and technology fellow at Chatham University. She presently works for the Carnegie Museum of Natural History in the Education Department. Her research focuses on issues pertaining to technology use at all levels of education (PreK-Higher Education). She is currently collaborating on an article on which factors correlate with students’ technology distractions in a college classroom.